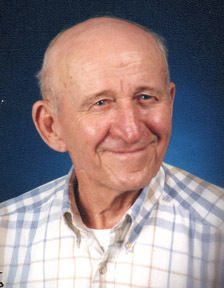 "Paul Hebert 1924 -- 2007" is a portrait of my favorite uncle who passed away in March of this year. He was the last of the brothers and sisters on my late Mother's side of my family. This pen and ink is a rendition of a professional portrait taken by him about 7 years ago and was produced from a wallet sized image. This study in pen and ink techniques was completed in March 2006. 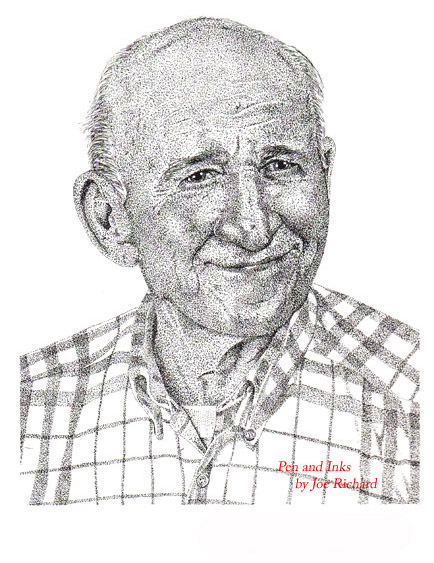 Extensive use of stippling effects combined with some line art was used to create a dramatic finished portrait of "Paul Hebert 1924 -- 2007". The "Paul Hebert 1924 -- 2007" photo used in completion of this artwork. This photo was taken at the Olan Mills studio in 2000.